You may or may not have seen a couple of days ago I featured my Biggest Pixi3 advertiser, well, now it's time to turn my attention to the rest of my lovely advertisers. What can I say about lovely Amy? She's redesigned my blog and given me a beautiful blog header, she has a beautiful blog herself with fantastic photography. She's been blogging for nearly as long as me and is bound for great things! Laura is a fellow local Cardiff blogger just full of loveliness :) She mostly blogs about fashion, lifestyle, and parenting. She put up a beautiful outfit of the day (well, it was really about shoes) yesterday, I adore the top she was wearing! 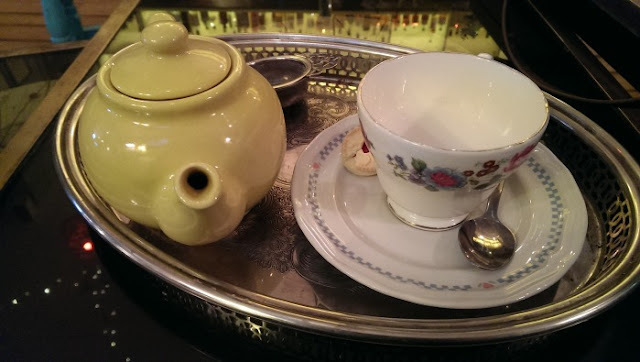 My first love is camomile tea - I used to drink this all the time when I was younger and it wasn't until there was a sachet of the Teapigs camomile flowers tea in a beauty box that I rediscovered it. 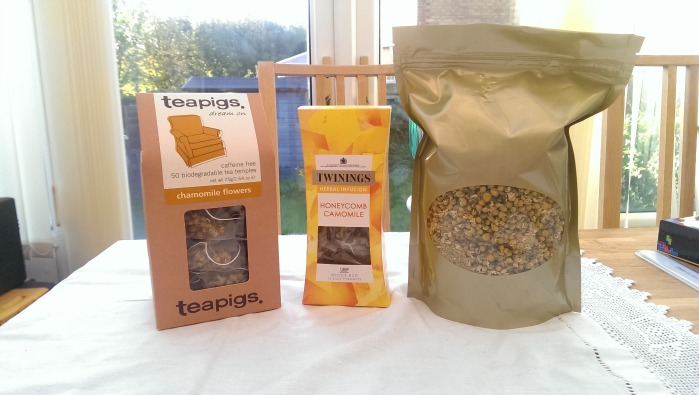 So after that I went out and bought a big box of it :) The trick with Teapigs is to buy a big box of them, otherwise each teabag works out to be nearly 50p each, if you buy a big box is less than half of that :) The big bag on the right is loose camomile flowers from Harrods - I know that sounds really expensive, but it's actually the same price as that box of teapigs on the left, and there's a hell of a lot more of it! Next up - Peppermint tea - boy oh boy is the Teapigs one amazing! Quite strong (strong in peppermint, not 'tea' flavour if you know what I mean?) - you can get a couple of cups out of 1 teabag too. 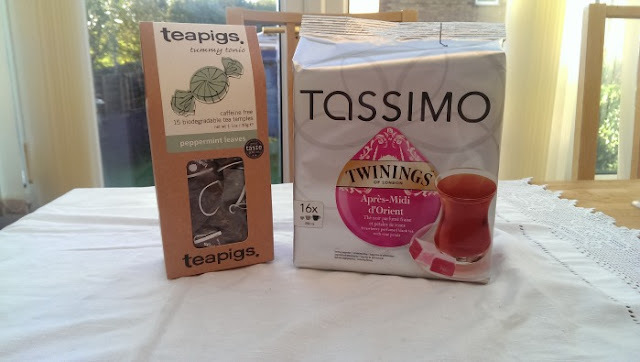 The tassimo strawberry/rose tea is really lovely too - I love that Tassimo (who primarily make coffee) have thought of other things as well as coffee. These? these are my work tea's. 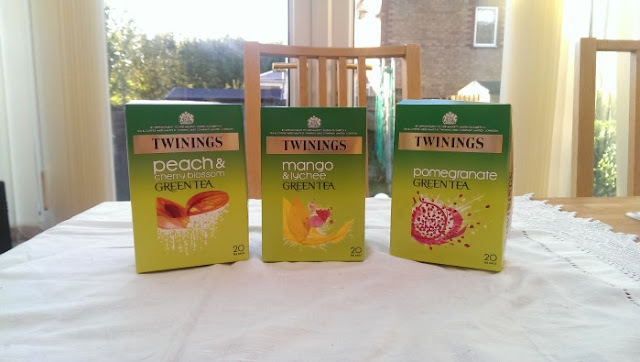 My favourite by far is the pomegranate green tea - especially if it's mixed with some runny honey - the two go so well together. The mango & lychee tea is lovely too - the peach is probably the most 'green tea' tasting of the lot, still lovely though. 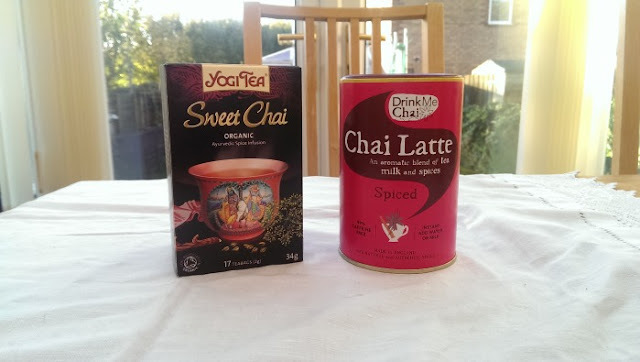 I hope you liked this different kind of post today - what's your favourite kind of tea? Back last October I wrote a post all about my weekly shop with Ocado - I spent a few hundred words raving about how awesome they were, but after a while, things went stale. Entire carrier bags of food would have to be sent back as they'd smashed something over all the produce, they'd turn up too early (just as Chris was leaving the house to come and pick me up - meaning he'd be late to get me as the delivery that turned up 1 hr early delayed him leaving the house). So we went back to shopping at Sainsburys each week. 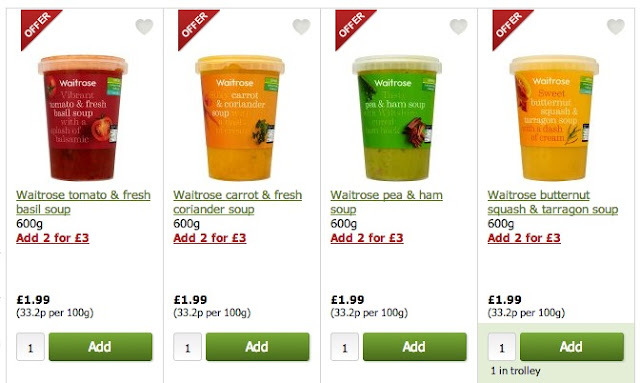 I figured it was time to try a new one, Waitrose. 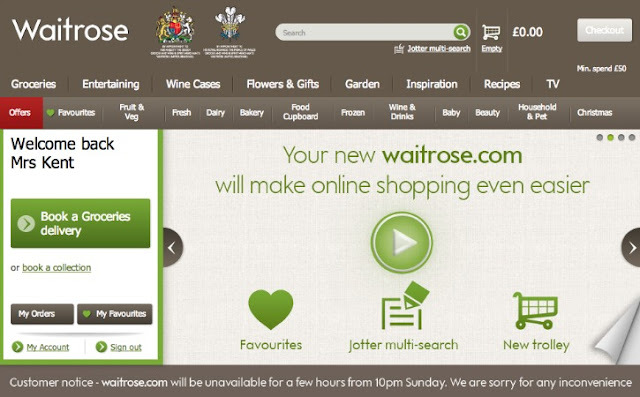 I've always been a fan of Waitrose, when I was a kid I remember mum doing 'special' shops there when she wanted to get really nice food, and we've recently had one open up here in Cardiff. I'd spotted a promotion online for the first 5 shops (£5 off the first shop & then £10, £15, £20 & £25 off the next shops). 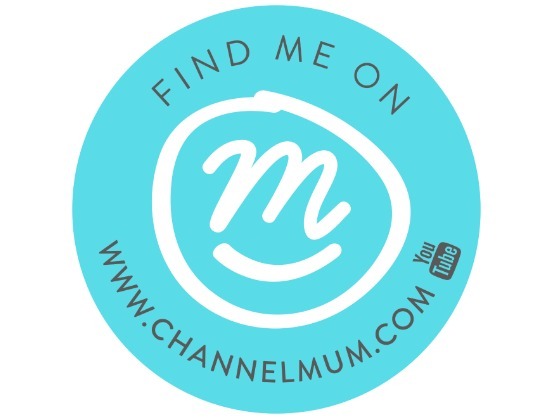 It's free delivery if you spend £50 (which we do every week) and online they price match Tesco for a lot of brand products. My first shop was great - they turned up on time, the delivery driver was really friendly and they brought the food into the kitchen and helped us unpack. Now I'm about 8 shops/weeks in and I couldn't be happier. 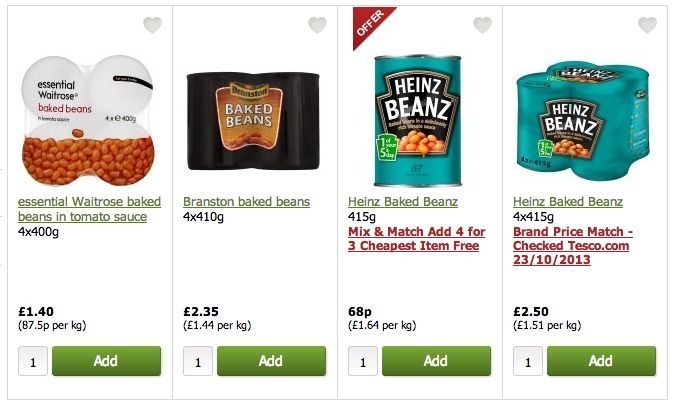 The cost of my weekly shop is about £10 a week cheaper (without their discount codes), I used to spend about £85, now I spend £70-75 and I'm buying better quality food overall - the Waitrose own brand food is amazing and really fairly priced. 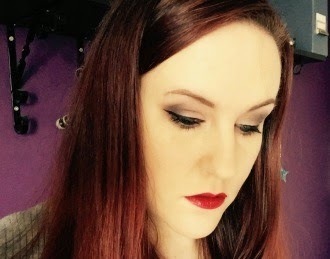 It's that time of the month where I turn the spotlight on to my lovely advertisers, particularly my Biggest Pixi3 advertiser who this month is the lovely Jess Coffee and Cosmetics. She's only been blogging for a few months and has already amassed nearly 200 followers, so Jess might well be one to watch. Jess also does blog design, she's recently redesigned Tattooed Tea Lady's blog which looks great, you should definitely check it out. If you're interested in advertising on makeup pixi3 just click on the advertising tab at the top of this page, or if you're viewing the mobile version, just visit the page here. After starting 2013 by doing the 100 day spending ban, I've decided to end 2013 on one too! The only difference is, I have no idea how long this ban will last, it'll finish when I've managed to save up about £700 - once I hit that target, I'll be able to buy my DSLR (most likely the Canon E600), a good lens and a tripod. 1. I can only buy beauty items to replace something that's run out and I don't have a suitable replacement. 2. I'm allowed to keep my monthly subscription to Birchbox. 3. I can buy 1 magazine per month. 4. Presents for other people is fine. 5. Products for hobbies is fine (i.e. wool for knitting). 7. 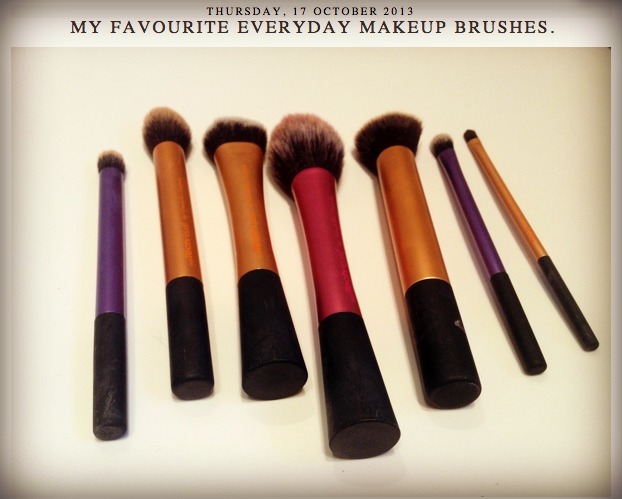 I'll be doing weekly updates of how each week has gone, how much I've saved and what I'm lusting after. Next is the most important thing - these spending bans are very hard, and what got me through the last one was the support of so many other bloggers also doing a 100 day spending ban. 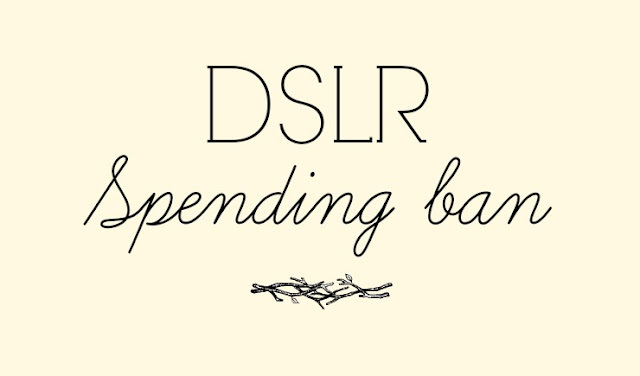 So, if you'd like to join me in my spending ban, whether you're saving for a holiday, something special or just want to do it for a set period of time leave a comment below to either show support, or if you want to join in too. 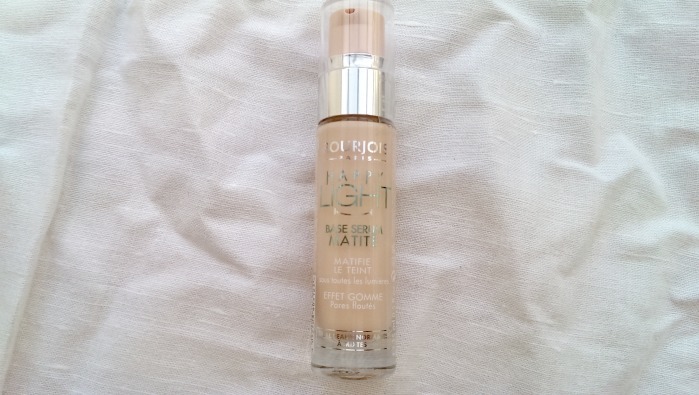 This needs no introduction - it's my second large bottle I've managed to get through - it's amazing at removing makeup and leaves my skin feeling lovely and soft, simples. Oh my was this hard to finish! It's an extra large bottle and just didn't do my hair any favours. When I was using this shampoo & conditioner my hair just felt so dry. What I did like though was how it made my hair smell, I've always loved the scent of Pantene. But sadly, not one I can imagine repurchasing. This is my last little sachet of this wonderful mask, but fear not, I have a giant tub of it now! Managed to find it at TXMaxx a couple of months ago for about £25 (great price!). I use this every Saturday morning as part of my Saturday morning pamper shower (I look forward to a good pampering all week!) where I use all my best products, feels like a great way to start the weekend. There are many things my parents blessed me with when they had me, high cheekbones from my late mother, blue eyes from my father and nice hands from my mother again. There are however, some less desirable qualities they passed on, and in this case that was frizzy hair. Mum always suffered from the frizz and never really found a way to tame it. Now, my hair isn't quite as bad as hers was, but if I don't straighten it, it's still quite frizzy. 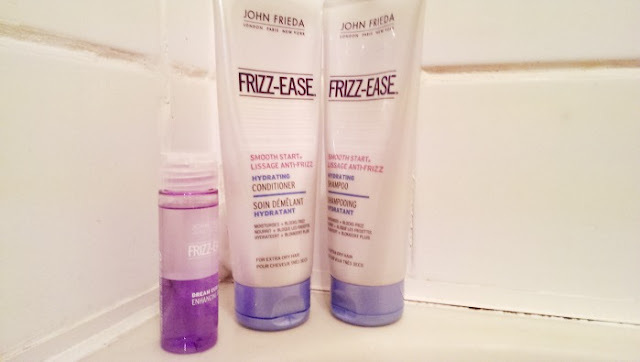 Over the last couple of weeks I've been trialing some John Frieda products to help control my frizz, I've been using hair oil for curly hair (I know mine isn't curly!) 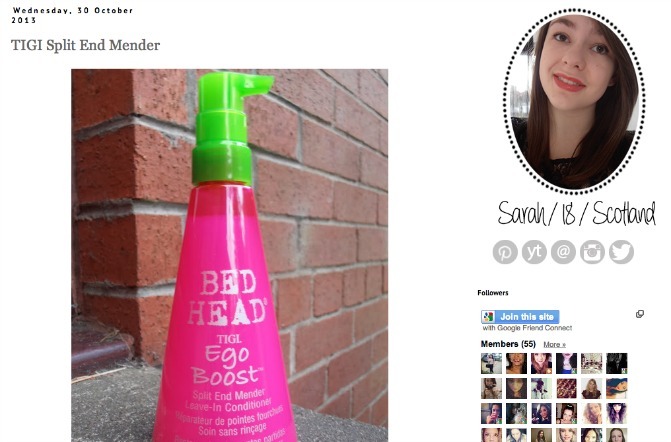 and their smooth start hydrating shampoo and conditioner. First off, the shampoo and conditioner. When I'm actually using these in the shower the shampoo does make my hair feel a little dry, but that's ok because when I follow it up with the conditioner my hair feels lovely and soft, but at this point it's still wet so a bit early to tell just how it performs. Then I towel dry it a little, and wrap it up on my head. I spend a while doing my makeup and then go to dry my hair. This is where the hair oil comes in - it's separated in two parts so you need to give it a good shake first, you place 10 drops of it in your hands and work it through your hair. This certainly didn't curl my hair which I was relieved about. After drying after the first time I used these my hair felt amazing, it was soft, sleek, less frizzy and had a nice weight and sheen to it. It wasn't greasy at all and felt lovely. After a couple of weeks of use I think it's best placed not as an everyday shampoo, but one for weekends or for days when you want your hair to look really lovely. 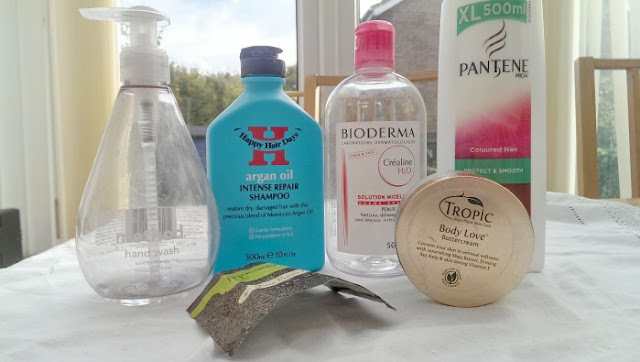 I found if I used it every other day some of the benefit was lost, so using it less often makes it more effective, that's at least what I found with my hair. If you're interested, until the 28th Oct (2013) they have a Facebook competition running to win lots of John Frieda prizes too. You can pick these up at good high street stores like Boots and Superdrug for just under £6* each. 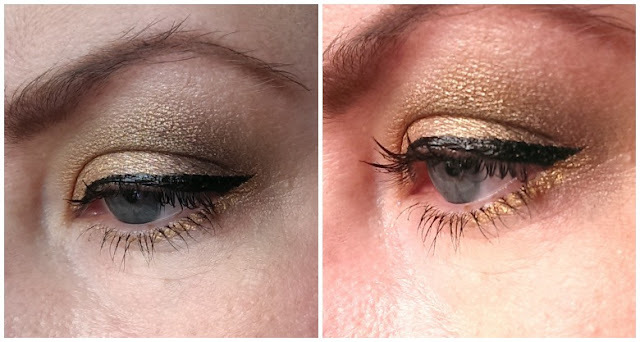 Most bloggers aren't a stranger to the budget makeup brand Elf (Eyes, Lips, Face). 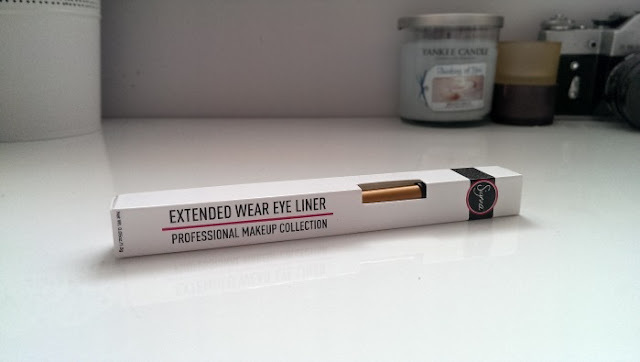 With cute packaging reminiscent of NARS and good quality cheap makeup brushes, Elf have firmly made a name for themselves. The British arm of Elf is run by Distribeauty which is based here in Wales (Swansea) since 2007, and the best bit is they're opening the first ever European shop here in Cardiff! This makes me very excited! 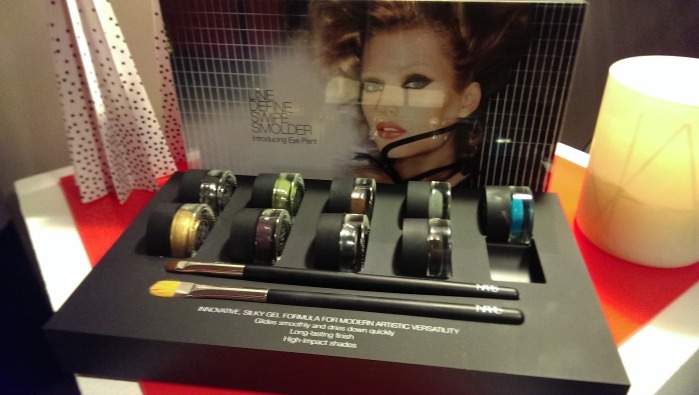 Quoted in the press release "The store has undergone an extensive refurbishment, including the creation of a boutique area for make-up enthusiasts to experiment with a range of 600 cosmetics and beauty tools. 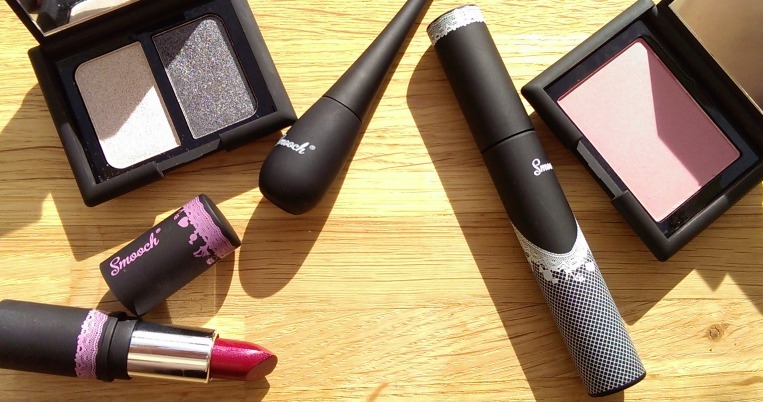 Starting from as little as £1.50, the products aim to bring affordable, quality make-up to the masses. Also boasting a brand new multi-media studio, the store is set to be a central hub for social media activity and by the end of this year, Distribeauty are planning to create an exclusive web TV channel streamed live from the store, designed to engage with its existing 1.5 million social media fan base and beyond." The store is opening on the 24th October in the Royal Arcade just off St Marys St, they'll be open from 9:30 - 6pm Monday - Saturday, and 11:00 - 5pm on Sunday's. 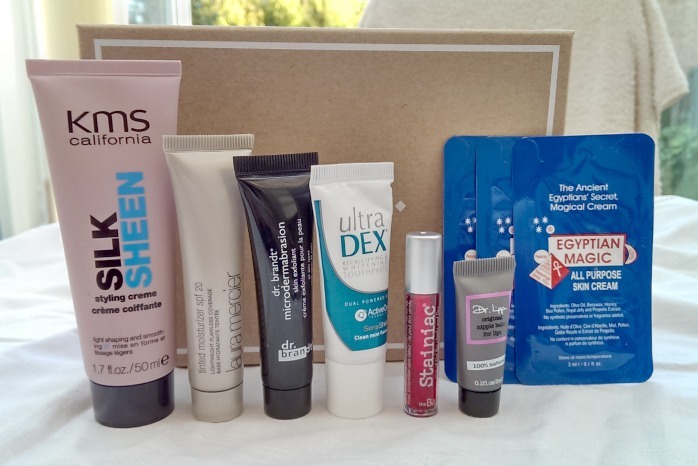 A few days ago the October Birchbox landed on my doorstep. For once, I hadn't Googled it to see what everyone had received, so it was a complete surprise. Next is the Ultra Dex whitening toothpaste, I always quite like the toothpaste that comes in beauty boxes, it's much better than the perfume samples that you get in other boxes :) Next up is theBalm Stainiac - a cheek and lip tint. I'm really loving theBalm at the moment after recently discovering them, so I'm really excited to try this out. Then we have the famous Dr Lipp nibble balm! Slightly random, but it doubles up as a lip balm. I've heard amazing things about this so I'm looking forward to trying it (on my lips that is!). 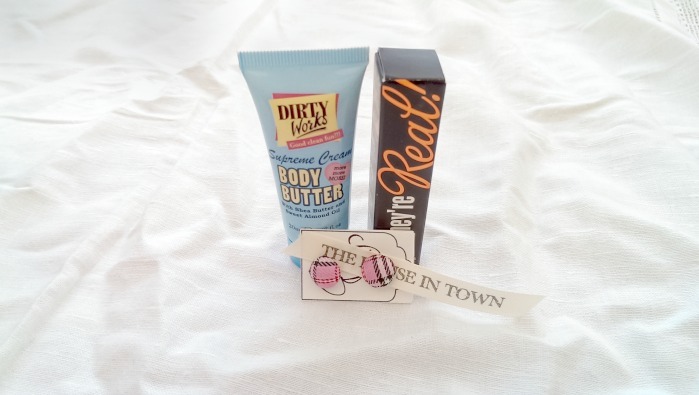 And finally, there are three sachets of Egyptian magic all purpose skin cream. 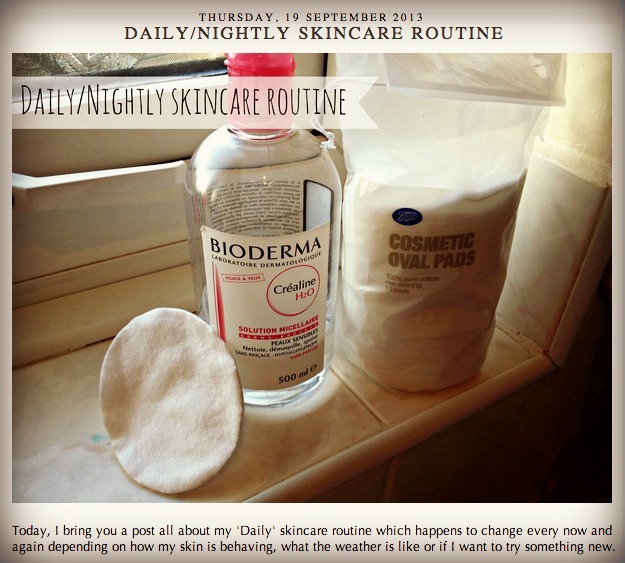 I have some pretty dry skin on my elbows so I might task this with tackling that! 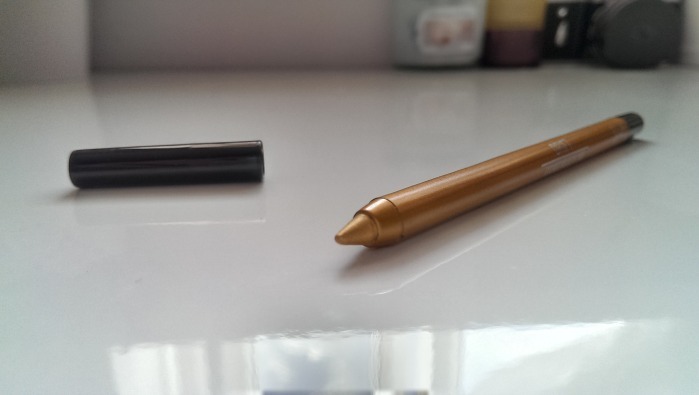 There's been quite a bit of hype and chatter about these, Sigmas extended wear eyeliners. 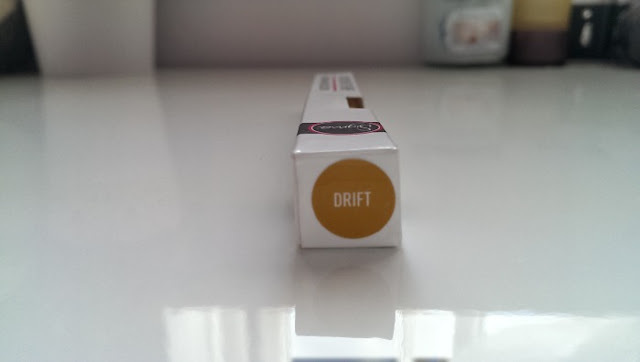 Available in 9 shades from Cocktail Cosmetics for £8.95* each. 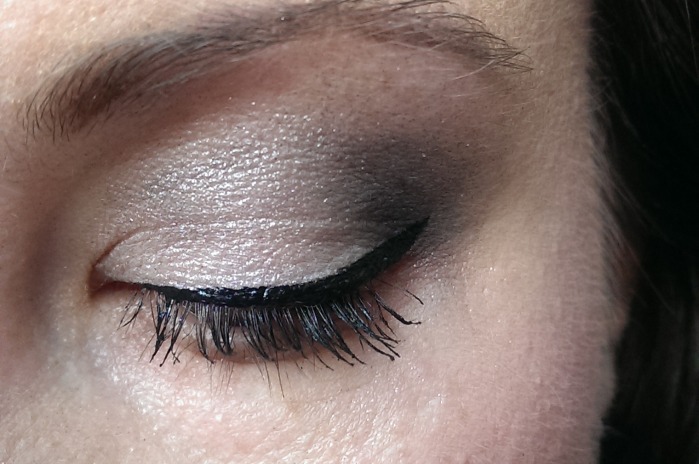 As you can see I used it to line my lower lash line. It's a pretty creamy formula so it doesn't drag the skin too much, but it's best quality is it's staying power. Eight hours on and it looks identical to the pictures above, no smudging, flaking or melting. 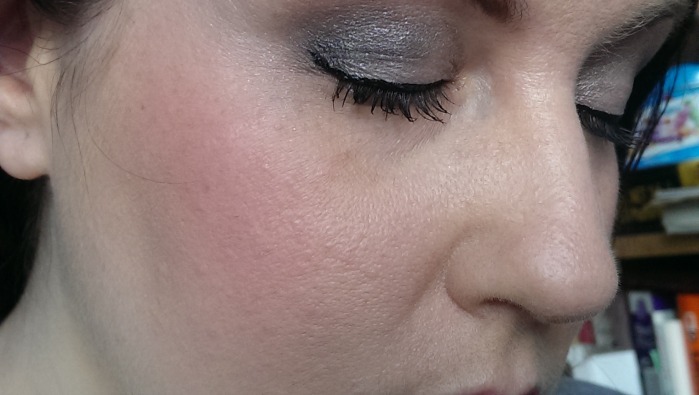 The photo's really don't do the product justice either, the colour is quite strong whereas in the pics, it looks almost muted (that's not what it's like in real life!). 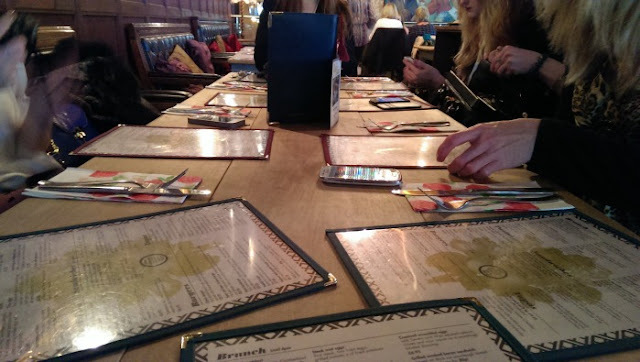 Yesterday was the Cardiff meetup, a day Helen and I had been planning for months. The guest list was limited to 20 people, as we didn't want it to be too big. All together about 35 people signed up so we had a few on the wait list too. 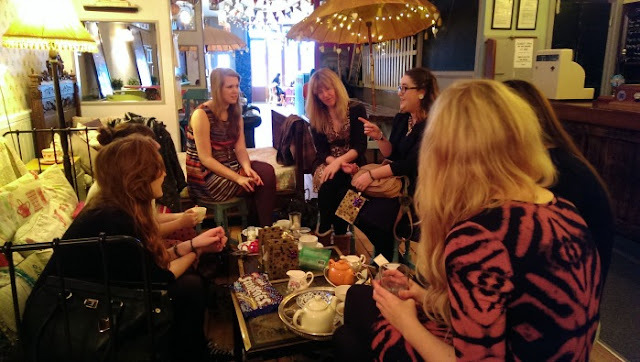 By 11:45 everyone had pretty much arrived and bought some yummy tea. Then at 12:30 we headed off and did some shopping. 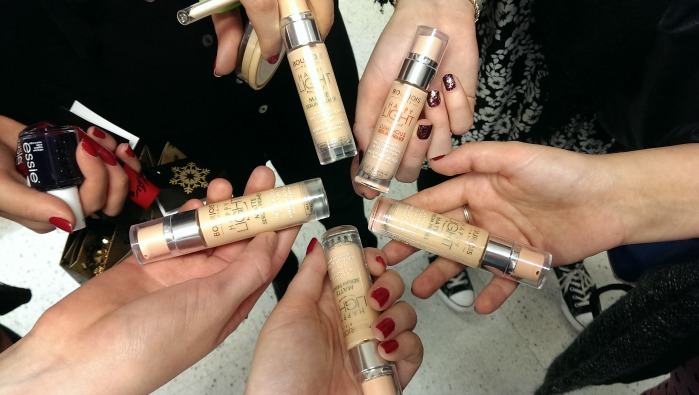 First we went to John Lewis and hit the NARS and Laura Mercier counters. (purchases at the bottom of the post). After that we headed for lunch at Cozy Club where another blogger joined us. They were quick to take our drinks order, but the drinks took a crazy 20 mins to come! The food was lovely though, I had a falafel burger with chipotle sauce and grilled halloumi. After that we paid up and parted ways. 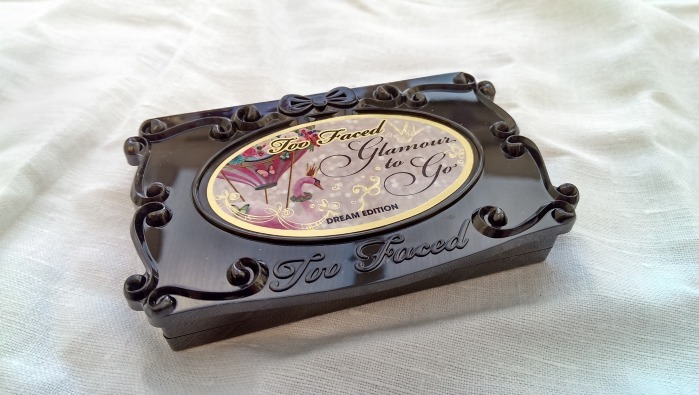 Gemma & I went to TKMaxx for a bit of a browse where I picked up the scrub and Too Faced palette pictured below. I spent a few minutes watching a band playing outside there for the SWN festival and then took advantage of a break in the rain to head home on the train. 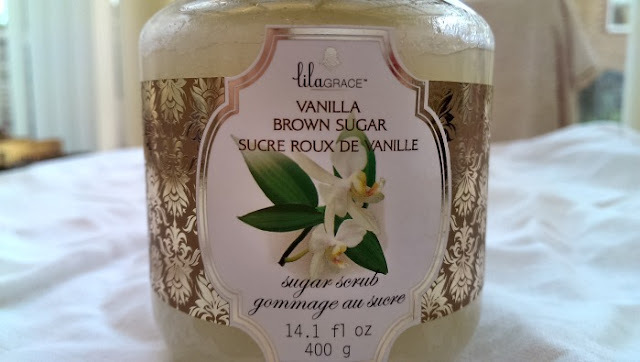 This sugar body scrub I picked up in TKMaxx for £3.99 - you cannot imagine just how AMAZING this smells!!!! RRP £19.99 - I picked it up in TKMaxx for £7.99 - it's an 8 shadow, blusher, bronzer & gloss palette - review coming in the next few weeks! 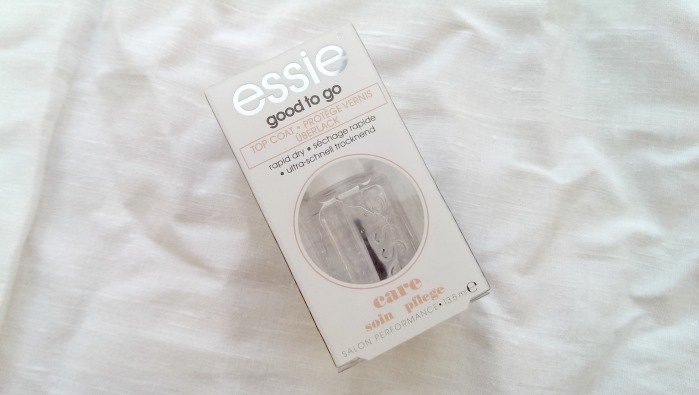 I grabbed this in Boots, it's a replacement for my favourite top coat since mine is more than half empty now. 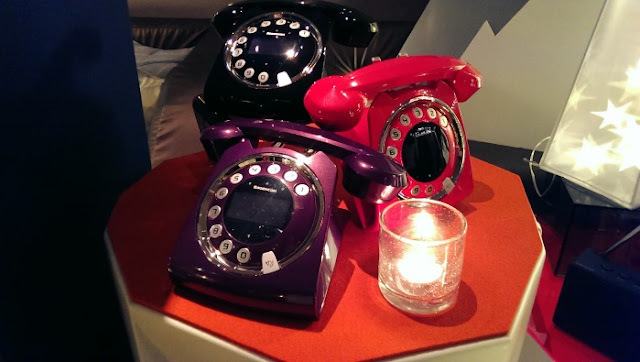 I saw these when I was at the John Lewis event on Tuesday and thought they were gorgeous then. 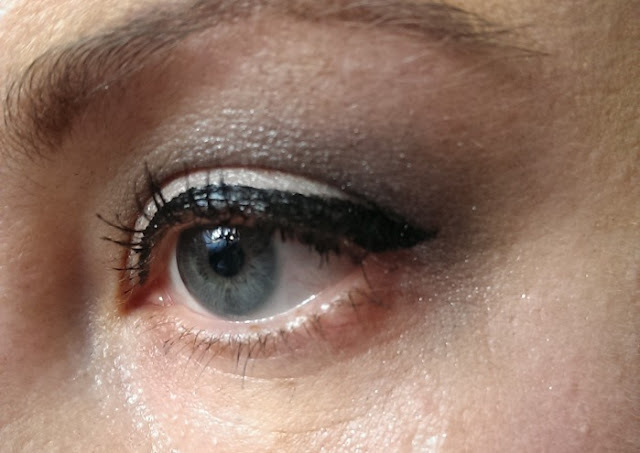 They're like a cross between a gel eyeliner and a cream shadow - you can use them as both and the colours are amazing. Sadly, my camera didn't pick up just how awesome this is, but it's basically black with lots of green glitter in it, so pretty! All in all it was a great day, but I will say that it's not a great idea to sign up for an event if you don't think you'll be able to make it, or if you think you might change your mind. At least, if you do, please notify the organiser and ideally give them more than 24 hours notice, as at that point it's too late to invite people who are on the wait list. A big thank you to Helen, Gemma, Leanne, Linda, Laura & Mia, Nina and Elle. It's that time of year again when shops start filling up with beautiful Christmas decorations and showcasing the looks they've put together for the festive season. 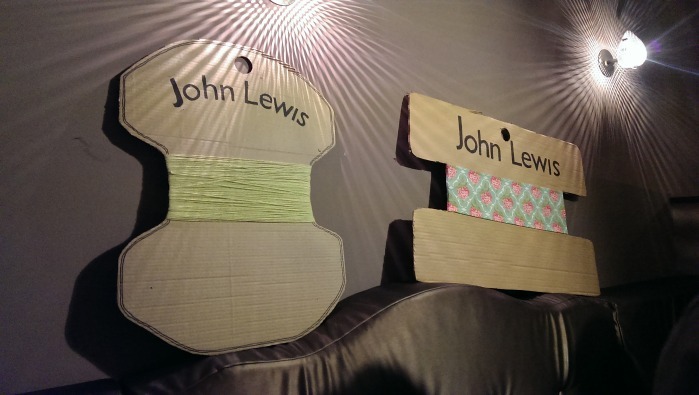 Earlier on this week I was invited to see first hand what John Lewis have in store (<-- see what I did there!). I'm sad, I know. 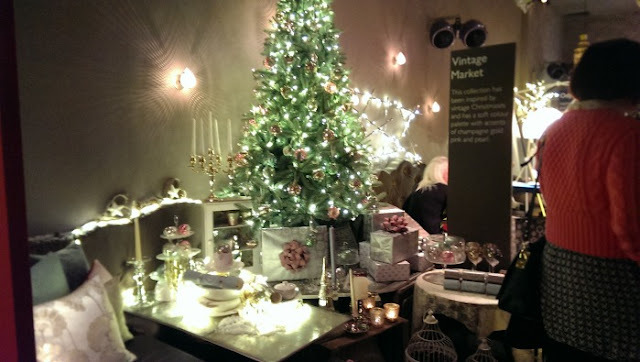 You'll have to excuse the slightly fuzzy photo's it was quite dark in there. Some of the 'rooms' they set up, like this one which is a 'Vintage Market', how cute does it look? 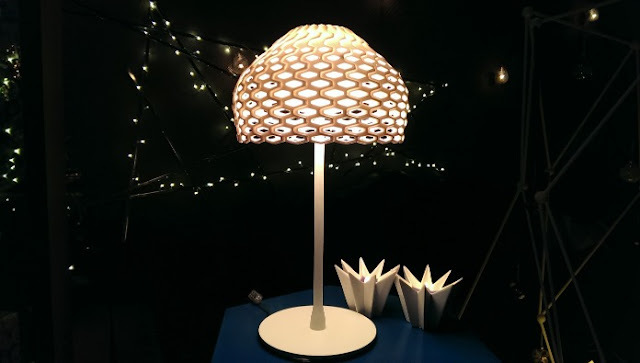 How amazing is this lamp!? I love how it looks in the dark, great for a feature. 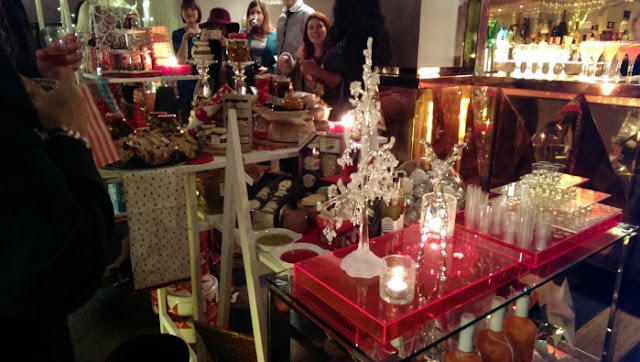 They set this up in the middle of the room - it's showcasing some of their edible bits and bobs they're selling for Christmas, as well as some little treats we could put into a bag to take home, so cute! My biggest memory of this was trying what I thought was a green olive stuffed with pimento, when it actually turned out to be a very hot chilli!!! So, so, so hot! 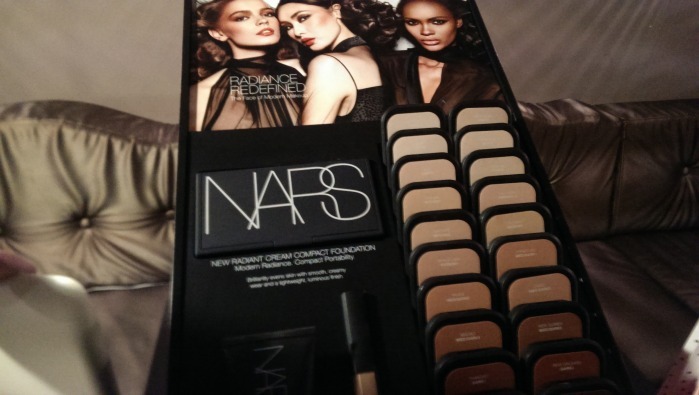 NARS were displaying some of their new foundations, they're a cream formula in a LOT of shades, I think they retail for about £28 and you need to buy the palette separately for £6 I think - but you only need to buy that once, then you can just pop out the foundation and replace it with a refill & new sponge. I only tried this on the back of my hand, but it looks like it has a soft dewey finish. 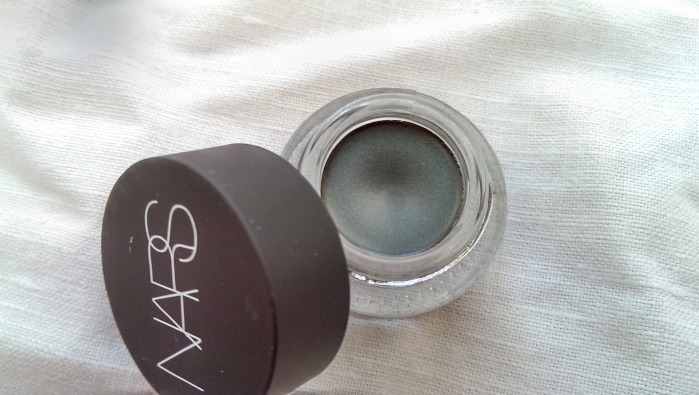 This is NARS new gel eyeliners/shadows - they're a two in one product that sets fast and is designed for very long wear - some of the shades available were amazing! 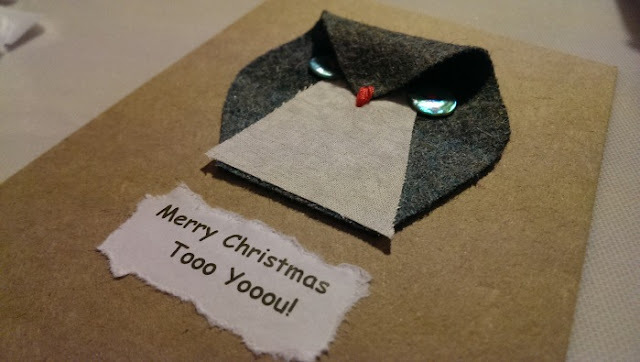 I can't keep it a secret, the John Lewis Haberdashery were there and doing card making with everyone! This was my favourite part of the night (above is the card I made & below are lovely fellow bloggers with the lady from Rowan wool), I really felt at home there and the ladies were so so lovely. 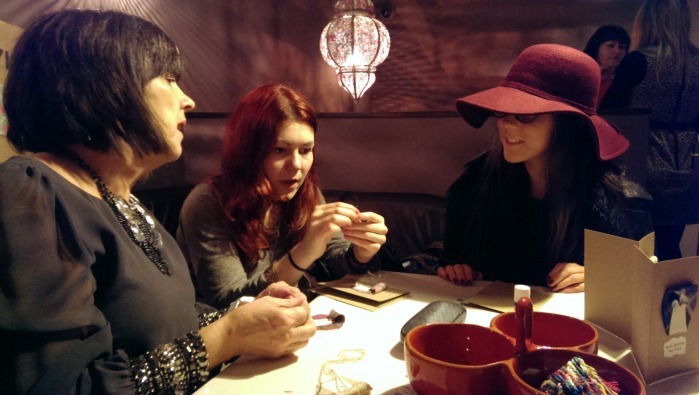 As you know, I've just taken up knitting, and when I was talking to the Haberdashery ladies they mentioned that John Lewis do free knitting classes with Rowan - in the Cardiff John Lewis the classes are on a Tuesday from 11am - 12am, teaching beginners. You just need to call in advance and book - how amazing is that!!! Finally, John Lewis have some quirky gifts for sale this year, I took a pic of these ones as I love their 60s/70s vibe. By the looks of it they're cordless too, how cool is that!? Thank you to John Lewis for inviting me to their fab event, and for a lovely goody bag too! 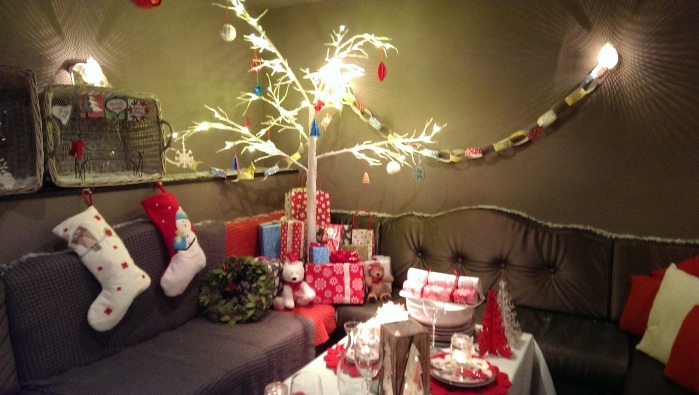 What are you looking forward to about this Christmas?